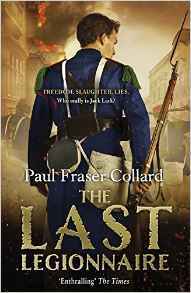 Book Corner: The Last Legionnaire by Paul Fraser Collard – History… the interesting bits! Jack Lark has come a long way since his days as a gin palace pot boy. But can he surrender the thrill of freedom to return home? London, 1859. After years fighting for Queen and country, Jack walks back into his mother’s East End gin palace a changed man. Haunted by the horrors of battle, and the constant fight for survival, he longs for a life to call his own. But the city – and its people – has altered almost beyond recognition, and Jack cannot see a place for himself there. A desperate moment leaves him indebted to the Devil – intelligence officer Major John Ballard, who once again leads Jack to the battlefield with a task he can’t refuse. He tried to deny being a soldier once. He won’t make the same mistake again. Europe is about to go to war. Jack Lark will march with them. I have spent a wonderful week on the battlefields of Victorian Europe, reading Jack Lark’s latest adventure. The Last Legionnaire is the 5th book in Paul Fraser Collard‘s fabulous series of novels based on the chameleon soldier, Jack Lark – and what a fabulous, eye-catching book cover! Lark is a serial imposter, one day taking on the guise of a rank-and-file soldier, the next sitting comfortably, in a captain’s uniform, the officers mess. This makes for some interesting and uncomfortable situations; it means you can always find Jack where the action is, but also means he’s vulnerable to the demands of intelligence officer, Major Ballard, who knows his secret. The story begins by bringing Jack home the rookeries of Whitechapel, in London, where the poorest a most desperate of Victorian society reside. However, he soon realises it’s no longer home; Jack Lark is one of those men who is most comfortable in the army, among soldiers. It’s what he’s good at. And it doesn’t take long to find his way back to war – with the French army – in search of a man who ran away from home and joined the French Foreign Legion. There is action in abundance. It is frenetic and vivid. 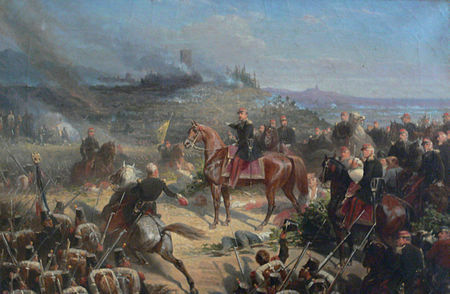 Paul Collard’s battlefield scenes are a masterpiece of descriptive writing. You can almost hear the cacophony of the cannons, see the regiments advancing in column, hear the screams of the wounded and frightened horses. The author manages to impart not only the action, but also the misery, the fear, the danger – and the lust for battle, the addiction to fighting and the power a man can find in sword, bayonet and rifle. Descriptions of the battlefield hospital, the surgeons at work – as well as the battlefield itself – demonstrate the grim reality of war. The story is at times touching and often brutal. Jack Lark is a unique character. He serves as an example of how men can find a pleasure, or sense of accomplishment, in battle … and in another battle survived. The Last Legionnaire always has a view to the human element. Jack is aware of is soldiering abilities, even scared of what he is; he knows what he is capable of and tries hard to keep himself under control. But he also has a chivalric nature; he wouldn’t be able to resist helping a damsel in distress, rescuing a child or stopping a regiment, on the verge of panic, from running. Jack’s anger had disappeared. He could not argue against the truth. He returned his attention to his revolver. Only when he had finished loading it did he look at Palmer again. “What about that lucky man? What if his luck holds? What if he goes on surviving? Paul Collard’s characters are incredibly diverse and full of life. Jack invokes the reader’s sympathy for a man who tries to do the right thing, but sometimes manages to go the wrong way about it. He marches to war with a small entourage, a mismatch of individuals who all want something from him. His sense of chivalry means he has taken under his wing a face from his past; Mary, and her young son Billy, no longer have a home and Jack does his best to protect and support them, despite frequent criticism of his inadequacies. Major Ballard is an intelligence officer; comfortable in using others’ weaknesses in order to achieve his ends. And then there’s Palmer, Ballard’s man, but he has a soft spot for Jack; he sees much of himself in the younger man. The partnership of Jack and Palmer is a strong part of the story. The 2 men grow to like and trust each other; they play to their individual strengths and their banter is enjoyable and entertaining. 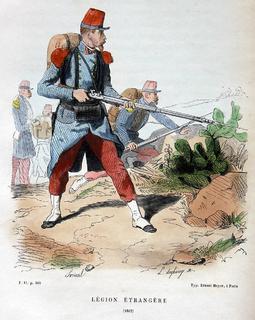 Ever since reading Beau Geste as a child, I’ve had a soft spot for French Foreign Legion stories and this one is fabulous. Paul Collard has done his homework and it shines through, his knowledge of the Legion, their history and ethos, is second-to-none. The author has an incredible sense of adventure, which he manages to get across on every page of his writing; you can tell he grew up reading Cornwell, MacDonald-Fraser and Forrester. Jack Lark is his own unique hero and he is a worthy successor to the great literary soldiers who came before him. I couldn’t help imagining him sat round a table with Sharpe, Flashman and Hornblower; he would certainly be able to hold his own when it came to telling the stories of their adventures! Great post – looks very interesting. Thanks for the introduction! Pingback: Book Corner: Interview with Paul Fraser Collard – History… the interesting bits!